COTE DE TEXAS: Viva la Padre! And so, last Friday, the three of us, Ben, Elisabeth and myself took off in my new Jeep Commander for our annual trip to the southern most tip of Texas, South Padre Island. We'll be here for about three weeks, not doing much of anything except sitting on the beach and eating shrimp and crab. 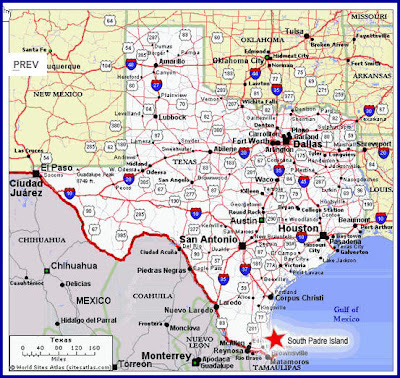 It's a long car ride as you can see from the map - Houston to South Padre Island (where the red star is!). It takes about six hours with a few stops along the way. And here is an aerial shot of the little island, in fact, I think it really is considered a sandbar! This is the view to the right from our condo taken at about 7:00 pm today. Nice house on the right, always empty and boarded up. Hey, we'll take it! And, the view to the left. Slightly hazy because the lens on my camera kept fogging up. There is no sunset because this is facing east! 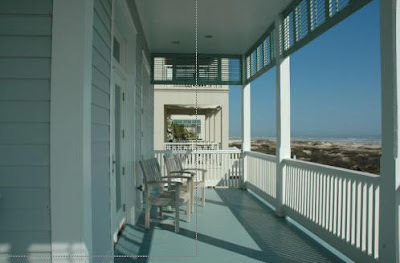 The most exciting thing happening on the island visually is the new town called The Shores. 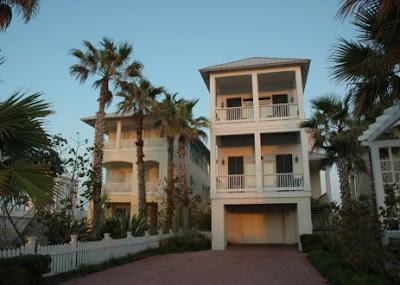 As you can see, it is modeled on all those trendy Florida beach towns like Seaside and Rosemary Beach. It may be cheesy to be excited about copying Florida, but the lack of town planning on this little island has left a lot to be desired design wise, so The Shores is a breath of fresh air. It's been slow going for a long time, but this summer Ben and I are pleasantly surprised at the amount of building that happened over the winter. 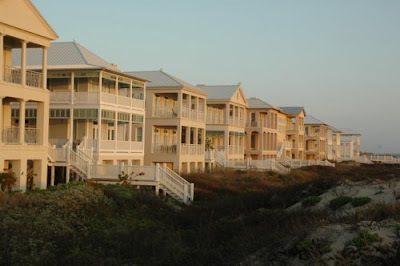 Many, many new homes on both the beach and bay side sprang up since we were last here. This is exactly where we want to live when we don't have to work anymore. 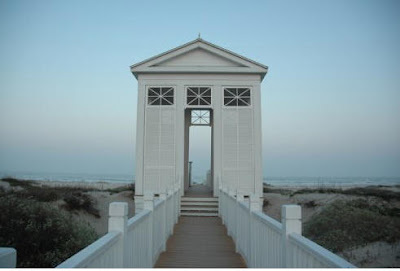 I love the picket fences, it reminds me of Seaside, Florida. Front row viewing of the beach. Now, this is what I call paradise. Gawd, you are so lucky. I am horribly jealous (in a nice way of course). But you can't imagine what my life is like right now. I worked non-stop all weekend on a brief on child labor, including til midnight last night. Up at 5:30am and back at it. ~sigh. Thanks for sharinf, I wasn't familiar with The Shores, it's so lovely! Have relaxing stay!! Oh my goodness! What a beautiful place. You are a lucky girl. Ooops! I forgot to mention (not quite awake) the new header is gorgeous! Sounds like you're in store for a wonderful time! Enjoy! Players list 8 facts/habits about themselves. The rules of the game are posted at the beginning before those facts/habits are listed. At the end of the post, players then tag 8 people by posting their names and make sure they know they’ve been tagged by leaving a comment at the tagee’s blog. Thanks for the tag! I'll work on it after the beach. Maryam in Marrakesh is jealous of ME? I doubt it honey, but you are too sweet. Liberty, All the Best - thanks! ok, I'm going to the beach, no more computer today, says my husband. It's a sickness, I tell you. I just found your blog....I can't wait to explore it more tonight. I lived in Houston and Dallas for 7 years, so have a very fond spot in my heart for Texas....particularly Houston....I love your style! Set image in header 'behind title and description' and type in title and description in top sections. Set border colour the same as background colour to see if you like that as well - it will make your header 'float' - the site looks so gorgeous. Hi! I've just discovered your blog! We have friends who winter, every year, at South Padre. 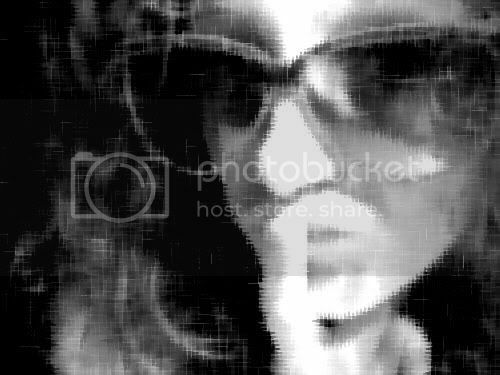 Beautiful images here. I enjoyed my visit and hope to return. Come by the back porch. What a wonderful vacation! I am tagging you too! So you will only have to do it once. Same as annechovie's directions! Hope you're having fun!! What am I saying- of course you are! And here I was thinking So Padre was just a college spring break town. I love all the new houses. I wish they'd do some of that in Galveston.